“I want to live NOW… But I also want to have enough money for my future!” This is probably the most common response I get when I ask someone what their biggest worry is when it comes to money. Sound familiar? We live in a society that promotes living life to its fullest now. But what if I told you that money is finite, and we are spending now the money we should have in our futures? In other words, if we can’t potentially afford something when we retire, why do we think that we can afford it now? I propose a radical idea: What if we only lived now at the same level of what our future could afford? And we only upgraded our current living when our future could afford that upgrading? The pay-back is (almost) priceless! Could you live today on the salary that your retirement will pay out? If you enjoyed this podcast, we suggest listening to how to take your retirement investing from a 10 km run to an iron-man marathon, protecting your lifestyle, and accountability partners. Lisa Linfield: 00:21 Hello everybody and welcome to today’s episode of Working Women’s Wealth. We’re going to be discussing living your future now. You see the feedback that people give me about my podcasts, the blog articles and surveys that I asked people to fill out is hugely valuable in helping me to deepen my understanding about each one of you that I serve every day. And for those that haven’t, take the time to provide feedback. I really do appreciate it. I love especially the free form answer to the question, what is your biggest worry about money? A theme of answers I’ve received is the basis of our episode today. I want to live now, but I want to save enough for the future and I’m not sure how to create the balance between saving now and living the life I’d like to live. Going on traveling, holidays, things like that. Indignantly. You’ll scream back at her and say, “Impossible. I would never ever do this. I’m no thief.” And gently, what happens if she says, “I know my darling consciously, you are no thief, but each day you weren’t mindful in how you lived your life. You stole from your future. Each day you spend your money now because you lived in the assumption that someday it will all be okay. That’s when you stole a little more.” This year, I’ve had the unfortunate experience of telling far too many people over the age of 60 that they will run out of money in the next five years, that they either need to continue working way into their 70s. Or if they’ve retired already, that they will need to go back to work or have the conversation with their children now to manage their expectations that they’ll need to support their parents going forward. And then they say, “But how come my company’s been taking money every single time? I couldn’t possibly have saved more. Because then what would I have lived on?” And I keep looking at them and saying, but you have 30 years to live in retirement, minimum. People forget that they need to find that 30 years of retirement. And most of us only start saving when we have 30 years of work. So for every year you’re working, you need to save a year and how do you do that? Well, it’s got to come out of your money now. And so they look at me and they kind of think that I must have it wrong, but if you just think it logically, that for every year you work, you need to save for a year that you’re going to be in retirement. Then it stands to reason that 5% is not enough to make sure that you can live at the same level you want to live at going forward. So here’s my radical solution I’d like to propose. What if we live now at the level of what our future could afford? Many people, I propose this to say, “Not a hope.” Although they have no clue what their current savings could afford. They’re actually known their gut, but they haven’t saved nearly enough or that they’re already living a life that they can’t afford now while they are earning income, so they’ll never be able to afford it when they retire. For some people, they argue with me that when they’re older they won’t have stress and energy to do stuff, so they must do it now or that they have their children with them now and so there must enjoy the time with their children and spend the money now and they weren’t needed it later. So whilst I agree with these arguments actually, and they’re all valid, I want you to just to stick with me on this thought. Last week I had the pleasure of meeting an amazing woman. She has been very diligent and investing a whole life and providing for her family’s needs and so I had one of those really uncommon experiences of telling her that she was on track to me to retirement needs and actually she didn’t need to invest any more than she currently was in order to get there. Her catch was that because she had just moved cities for a new job and chosen to keep her old home as an investment property. The home she lived in now was rented and her retirement plan was built on the assumption that her home would be paid off. She has 15 years or so to go and so that’s a valid assumption, but it led us to one of those great discussions on choices, because her future is sorted, she doesn’t have to be constrained by saving for the future, so her choices are around the life she wanted to live now and that choice that faces us all. Do we spend money on a bigger home, a new or bigger car or things that fill our life or do we spend that money on travel experiences, enjoying the intangible things that life has to offer? Her answer was traveling experiences and so that meant that she needed to look for a smaller home for less money so that she could free up the cash that she wanted to travel. 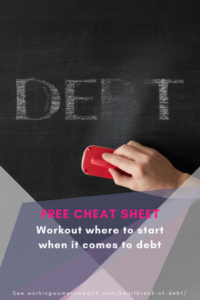 That’s the freedom that comes with knowing your future is sorted, and the clarity that comes with truly understanding the finiteness of our money. It comes down to either or decisions and our instant gratification culture so vehemently opposes that. Somehow we believe that it’s an end. We can have a big house, big car, and go in expensive holidays and have enough money for our future. It just doesn’t work like that and something’s got to give, and in most cases it’s our future lives. We’ll get there and find an empty building. So let’s go back to my radical thought. What if we lived now at the same level our future could afford and only upgraded our lives when our future could afford that upgrading? If our future could have only afford our car to be replaced once every 10 years and needed us to have a smaller car, so we paid less maintenance, petrol and servicing costs. Why do we currently have two big cars we replace every five years if our future can only afford us eating out once a month or on special occasions in order to enable us to afford that once in a year vacation we want? Why do we think we can afford to eat out weekly and vacation each year now, and if our future can’t even afford us a basic living expenses of food, medical, housing, security, why do we think that it’s okay to holiday five times a year and buy a new wardrobe every season? I think there are two reasons why we think that it’s okay. Firstly, we don’t actually know what our future can afford, so we assume that standard of living of our peers can be the standard of living for us. If everyone else is going overseas once a year, then we can too. And as young people, the standard of living that we got used to with our parents is what we want to live at now, so we forget or ignore that our parents worked 40 years to reach that standard of living and that there lived this expense conscious life along the way. You see, if we actually knew what we could afford, maybe we’d adjust what we spend today and likewise you might be able to afford more so like my client this week, her future is sorted. And an actual fact, now she has the freedom to be able to make the choices she wants to make for today. Secondly, we believe that there’s always tomorrow or next week, the diet industry is a multi-billion dollar industry because of this. We continuously believe that we’ll die tomorrow after Christmas, that vacation or a birthday party, we’ll jump three times a week from next month and that the healthy lifestyle is just a new year’s resolution away like our health. There’s always some reason why we’ll start saving off to the next expense. There’s always something that we are needing that money for and after that, just after that, we’ll start saving. There’s another reason that we tell ourselves it’s okay to spend now, because we want to give our kids all the things we never had. What we don’t put into the equation is that we are where we are today, sitting in the seat, jogging on this road or gym driving this car because of everything we went through before. Part of our success is the story of our childhood, and by spending so much now, we may just end up having to have that same conversation with our children that I tell my clients to have, that they will need to pay for us in our old age. Why? Because you gave them all the things as a child, you wished you had but many that they don’t actually need. So instead of your grandchildren getting to go to good schools, the money goes to pay for you to live. There’s a hugely important difference between need and want. Giving our children what they need is okay, having to pay for education because that is a need, is fine. Having to pay for lunch, for food, for things that they need is fine, but it’s all the other ones and things that they, “must have” that drain us of the money for our future. Money is finite. Yes, you may be the one in 4,000 who’s going to get rich quick with your next idea, but for the other 3999 of us, spending today means that they may not be enough for the future. And that amazing life that you give yourself and your children now, may rob them of their future to pay for ours. So before you need that bigger house, the bigger car, the new iPad check if your future can afford it, because spending it now may just mean that you have none of that as you live your retirement. 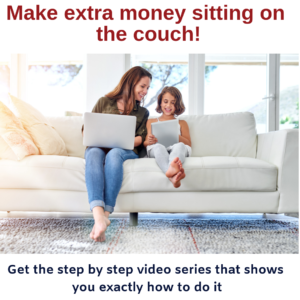 Find out how much you need, how much you would be able to afford with what you have saved already now and start adjusting your life to what that is, and as you save more and can afford more, you can live more. It’s never too late to take your children overseas. You might not be able to do it when they’re seven or eight to nine and probably may not remember it, but you might be able to do it when you’re 50 or when you’re 60 and you’re never too old to enjoy the fun of your dream car. My Dad got his first Mercedes when he was 70 years old and I can tell you that he loves it just as much as he would have at 30, but each year he saved carefully to make sure that he could have the future that he wanted. 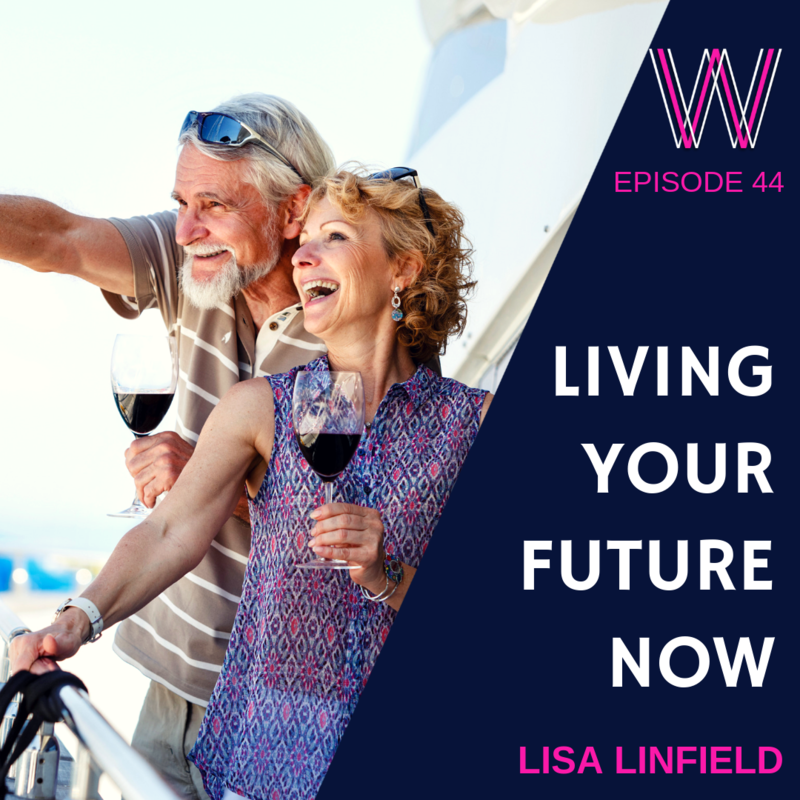 I’m Lisa Linfield and this is Working Women’s Wealth and I’d really encourage you to visit our website, workingwomen’swealth.com to see all the different resources we have that will ensure that you’re able to live your best future possible. Take care and have a great week.